MRS. HAYWARD DID NOT CAUSE THIS BY REPORTING THE ATTACK. LAW ENFORCEMENT OFFICERS RESPONDING DID NOT FAIL. TROOPER HAYWARD MADE A DECISION YESTERDAY. THE QUESTIONS THAT NEED TO BE ASKED AND THE FAILINGS THAT NEED TO BE FIXED REACH BACK FARTHER THAN A DAY AND ARE EMBEDDED DEEPER THAN ONE INCIDENT REVEALS. THERE ARE THINGS THAT NEED TO BE SAID -- BUT IT'S TOO EARLY. CONDOLENCES TO ALL, FOR MANY THINGS. John Hayward was a good man and a dear friend to us. My husband and I both had the pleasure of working with him and we will miss him the rest of our lives. If you did not know him do not judge him. He was a wonderful person and I am so sad he felt this was his only way out. 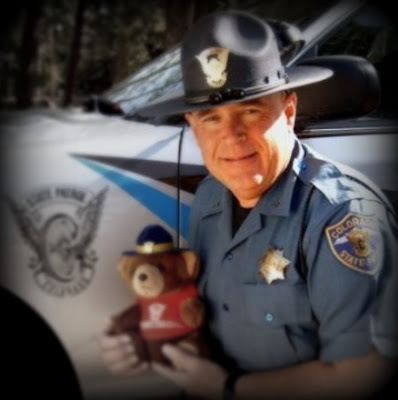 God Bless You, John, for being a loyal law enforcement officer and a true friend.